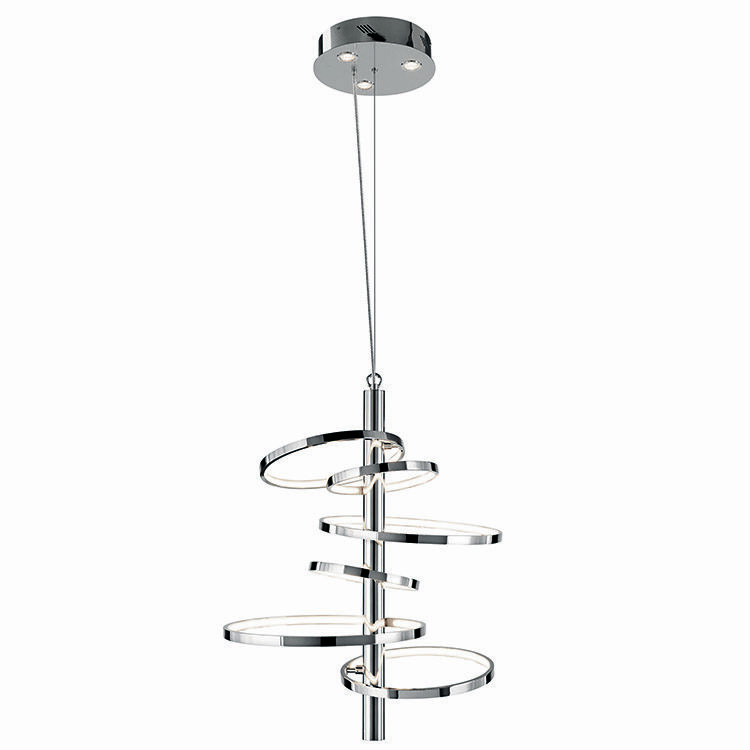 This multi-tiered pendant adds flair and movement within your space. Adjustable rings allows you to create the look you want. Available in several sizes and in cool or warm light. 54.4watts of LED white light. LaDiff recommends employing a qualified electrician for all hardwire fixture installations.